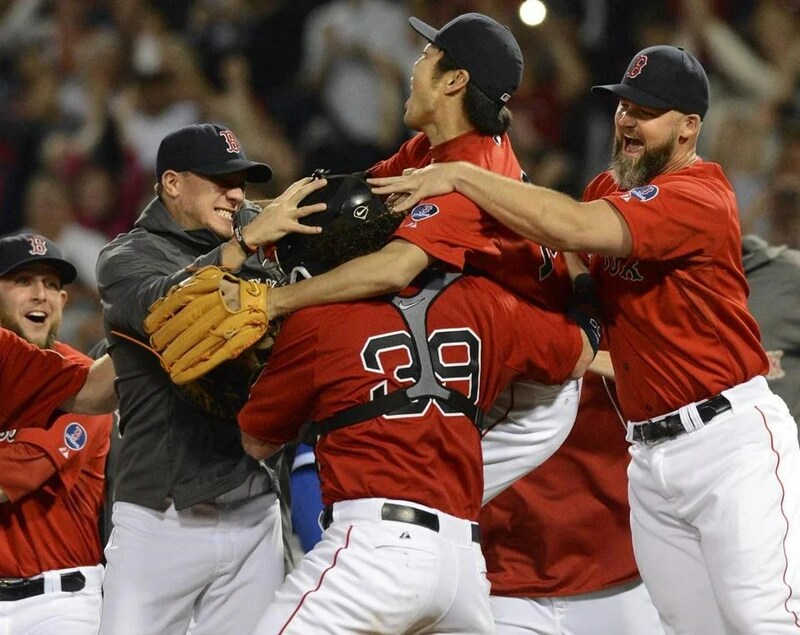 Last night, our Boston Red Sox baseball team won the American League Eastern Division title, one year after coming in last in the same contest. This has been an amazing year for Red Sox fans, and I couldn’t let this day go by without a short comment here. I realize there are fans among my readers here who root for other teams all over the country and Canada. That’s fine. I don’t even know yet which other teams are in contention for the Playoffs. I’ve been so preoccupied with the Red Sox and their amazing year of 2013, qualifying for the playoffs after coming in dead last in 2012. We had some ups and downs over this season. When we traded away shortstop Jose Iglesius, I was heartbroken. That guy was magic in my eyes. He still is. I would love to have him back. However, we now have Stephen Drew at shortstop, where Iglesius once was, and I have only high regard for Drew. Our team has gone through major changes in the past year, and between the managing skills of our new manager, John Farrell, and the excellent decisions by the head office staff and owners, not to mention that we have Pedro Martinez on our payroll helping with the pitching, etc., I guess our stars have been aligned to be in this situation. The next few weeks will tell the tale – if we can go all the way again. The last time we won a World Series was in 2007 under Terry “Tito” Francona, and before that in 2004. I think it’s time we got back into the winner’s circle and showed what the Red Sox are made of. Big cheers for our team and good luck in the Playoffs! Put me in as a fan of you in your ballcap, Bex! Love it! The Sox, well DH and I might just have to keep an eye out for the games. We don’t do too much in the way of sports during the year but we do tend to watch the playoff games for our favorite teams, and I was raised with the Red Sox and always enjoy watching them play. I loved to play sports as a kid, track and field as an individual competitor and team sports. I have never enjoyed watching sports being played, not even one tiny bit, nada, nothing! It bores me to distraction. I never thought much about it until a very dear friend of mine, who was an avid hockey fan, was watching a game on television. How he enjoyed it! He genuinely enjoyed it, and it dawned on me that I could not see what he saw in the game. I am sports blind!!!!!! Love the picture of you int he cap Bex! 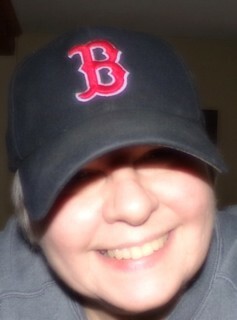 I’m a Sox and a Yankee (more Sox) fan so it is very hard when they play against each other. I’m very happy the Sox have done it this year and can go all the way. You look good in the hat. In general, I grew up in the New York area when we had three “local” teams to choose from. 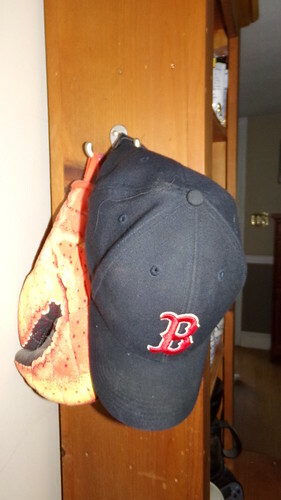 I could never be a Red Sox fan, and neither was my kid when he lived in Somerville. However, I did think it was pretty classy to have a farewell for Mariano Rivera. Good talent is good, no matter which team. Not much of a sports fan, but am a HUGE fan of the pic of you with cap. Wonderful! As a Yankee fan I’m not allowed to speak too highly of the Red Sox 🙂 But they did have a remarkable turnaround. Looks like the Yanks will need a similar revival next year. So, anyway, I won’t root for any of the Red Sox players to break their legs before the playoffs, is that sporting enough?